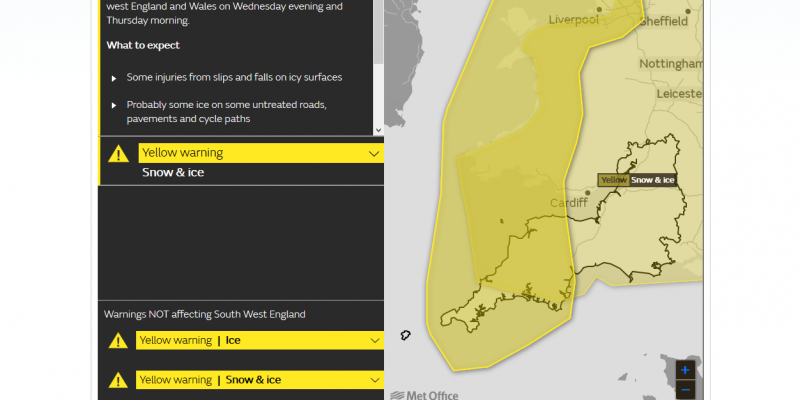 The MET Office has issued a yellow weather warning, predicting snow and ice across the Bournemouth area. It is expected to cause disruption to travel this evening, through to tomorrow morning. According to the forecast, temperatures are expected to fall sharply tonight, resulting in widespread frost with wintry showers to a minimum of -5 degrees celcius. Thursday morning will be cloudy, windy and rainy with sheets of snow spread across all parts.